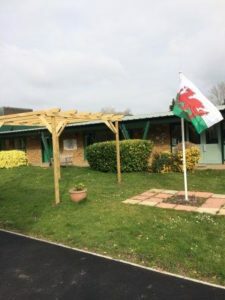 Well done to the pupils and staff in Year 4 for leading a unique fundraising enterprise. 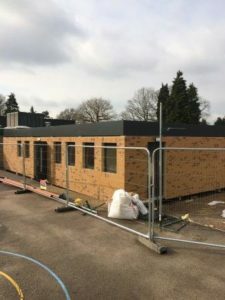 The year group have been working on the importance of guide dog training to help people who are visually impaired or blind. The staff team really brought this Citizenship project alive by arranging a visit from a guide dog in training called Indie. A more relaxed pooch you may never have met, as Indie engaged really well with two classrooms full of excited children. 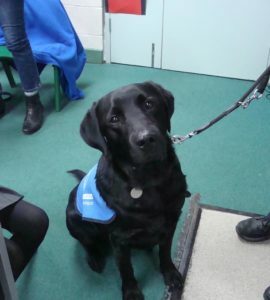 Inspired by the visit from Indie and the presentation given by his handlers and trainers, the pupils wanted to raise money to help with guide dog training. They did this by organising a ‘Heads Up for Guide Dogs’ day. 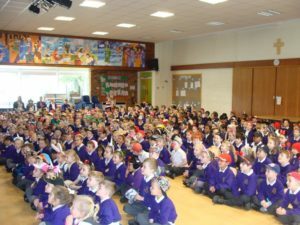 The school community raised £200 by donating to wear something silly on their heads. 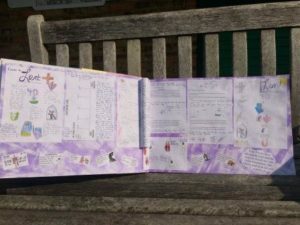 Well done to the Year 4 pupil and staff team, and thank you to everyone in the school for their support. 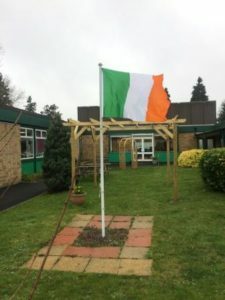 Happy St Patrick’s Day from everyone at St Peter’s Catholic Primary School. This week saw the start of Lent, with St Peter’s pupils taking part in an Ash Wednesday service. 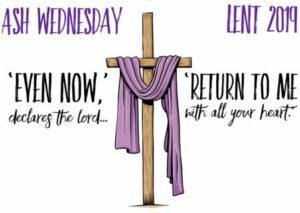 Our Lenten theme for this year comes from the Old Testament book of Joel (2:12) ‘Yet even now, declares the Lord, return to me with all your heart’. 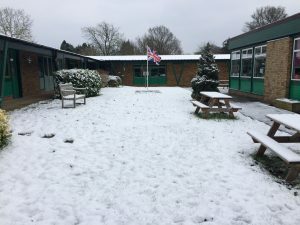 With Easter being a moveable feast, Ash Wednesday does not always fall on a school day; in 2018 Ash Wednesday was during the spring half term break. 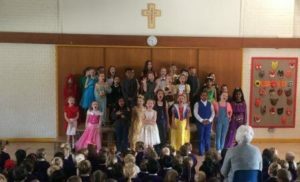 It was a wonderful occasion, therefore, to bring pupils from Years 2 to 6 together on the afternoon of Wednesday 6th March to share in a simple service of worship and reflection. 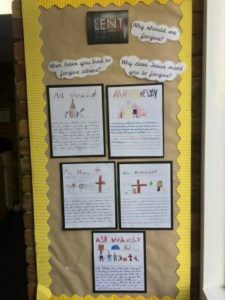 Along with wonderful singing by the children, and readings and prayers led by Year 5 pupils, the classes listened to our lay chaplain Miss Keogh explain how God worries for each one of us, eternally keen for us to turn to him in trust, faith and worship. The children in Years 1 and Reception had special classroom visits from Miss Keogh. She explained to the groups the meaning of Ash Wednesday, and was amazed at the amount of knowledge and understanding the children had on the event. Each child and adult in the school received ashes on their foreheads as a sign of penitence and humility.